The world celebrates International Women’s Day on Wednesday, March 8. Empowering women to address social, economic and political challenges remains a goal of the United Nations. Alongside a full respect for human rights, women need to be seen as equal partners with men in achieving sustainable development, peace, and security. Approximately 97% of ICM’s Transform participants are women, the majority of whom are mothers caring for their families, living in ultra poverty. Transform educates and inspires women to make real-life positive change. Overall, ICM’s Transform participants report a 43% increase in self-worth, a 74% increase in hygiene practices and a 106% increase in income. With greater confidence, stronger social networks and, most importantly, hope for a better future, these women are making steady progress on their journey out of ultra poverty. Gina, a 31-year- old mother of four, is one such woman. Before Gina joined Transform, the only way she knew to earn extra money was to play a version of poker known as ‘tong-its’ with her neighbors. Invited to attend ICM’s Transform program, Gina was determined to change her family’s life. Despite having given birth via Caesarean section just two weeks before the lessons started, Gina never missed a class. 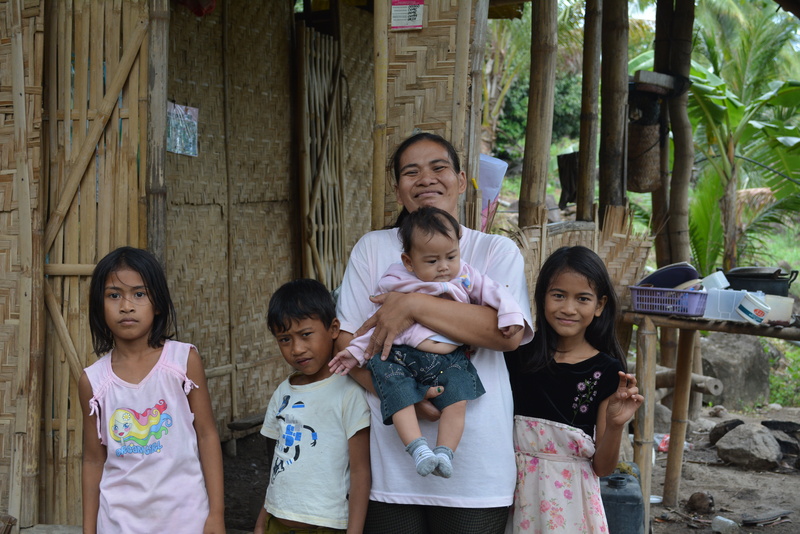 During the Livelihood lessons, Gina learnt how to cook rice and banana cakes as well as banana chips. 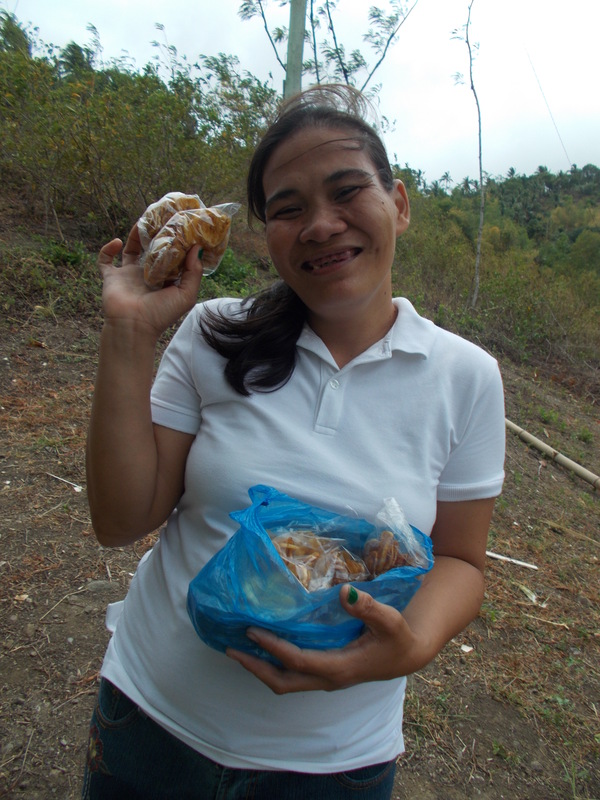 Now, every weekend, she rises at 4am to cook and then sell these delicious snacks to members of the community. In a day, Gina can earn between US$3.49 (PHP150) and US$4.19 (PHP180). 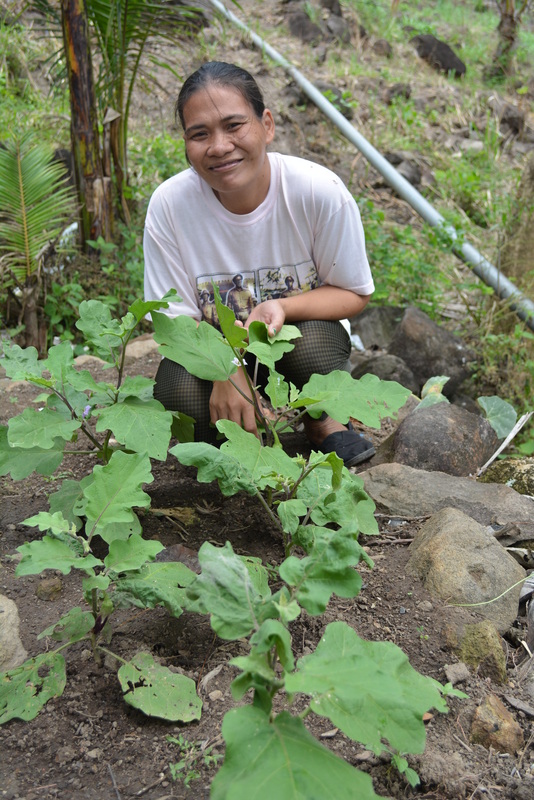 She has also learnt how to grow vegetables and Gina’s first harvest of pechay, a type of cabbage, earned her US$2 (PHP86). She is eagerly awaiting the harvest of her eggplants and okra. Gina no longer plays cards and no longer wastes money on cigarettes. Instead she puts her money into savings so she can pay for her children’s school supplies. She also provides more nourishing family meals by incorporating vegetables from her garden. She says, “I am motivated to strive more for my family and I don’t worry about not being able to buy enough food.” From the Health lessons, Gina now knows how to purify drinking water through solar disinfection and cleans her home regularly to prevent disease. She understands the importance of proper hand washing and adds, “I don’t allow my children to touch food without washing their hands first.” Her two school age children continue to thrive academically, and she plans for her two infants to attend school as well. ICM believes in delivering the right support, right training and right resources to unlock the bondages of poverty. Women are often the catalyst for change within their families and should be given the tools to affect transformation. On International Women’s Day, UN Secretary-General, Ban Ki-moon says, “Let us devote solid funding, courageous advocacy and unbending political will to achieve gender equality around the world. There is no greater investment in our common future.” ICM is proud to annually provide tens of thousands of women the education and opportunity to rise out of ultra poverty.